Since West Ham United lost midfielder Manuel Lanzini to the sidelines for the majority of this season with a long term injury, it is safe to say that they have not looked the same. The 25-year-old was a hugely influential player for the Hammers in the 2017/18 campaign, and losing him for a long period of time would have been a major blow for them. 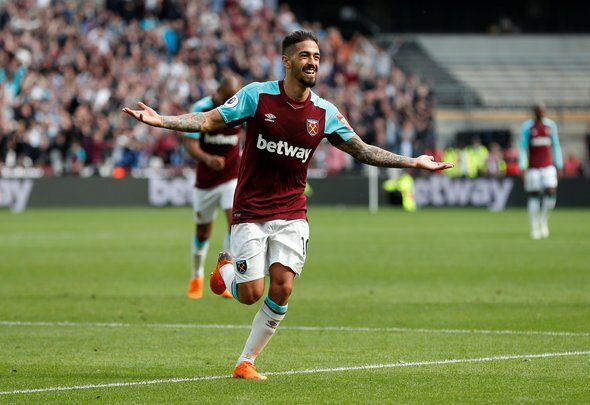 However, the latest update on Lanzini’s progress will certainly be music to the ears of boss Manuel Pellegrini, who has certainly struggled in the midfield department just four games into the Premier League. It was long thought that his progress would be much slower, so to find out that he is one step closer to recovery will be just the news that Pellegrini would have been hoping for. The Hammers’ boss has not yet worked with Lanzini so he does not know too much about his ability, but his form for the club last season has certainly earned him a big spot in the hearts of West Ham fans. Their midfield has put out some diabolical displays so far, and it is easy to tell that his presence is greatly missed in the middle of the park. Pellegrini may have recruited Felipe Anderson to fill Lanzini’s position, but so far, he has not lived up to expectations, and it is evident that he is finding it hard to adapt to the demands of the Premier League. Lanzini – who is 5ft 5in [Transfermarkt] – could be returning to action sooner that many would have thought, although Pellegrini will still have to wait a while before that actually happens. Even when he comes back from his injury, it is not likely that he will struggle to find his way back into the first team. A long-term solution to West Ham’s current midfield chaos could finally be upon Pellegrini after this latest update.